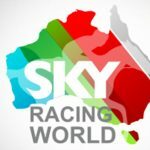 Louisville, KY. Oct. 2nd, 2018 – Sky Racing World, the Louisville, Kentucky-based distributor of international horse-racing content and subsidiary of Australian wagering operator Tabcorp, has launched harness racing from multiple Australian states in North America. 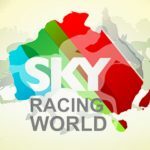 From Oct. 7th, 2018, Sky Racing World’s North American advance depositing wagering (ADW) partners will offer simulcast wagering on harness racing from Australia every Sunday and Monday night EDT/PDT. 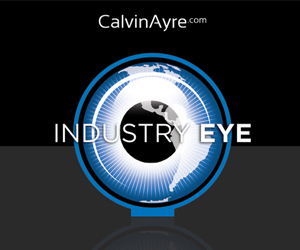 Bet types, including 20-cent Trifecta combinations, will remain consistent with those offered on standard Australian racing for the upcoming harness races, which start this Sunday, Oct. 7th, at Maryborough Harness Racing Club, in Victoria, with first post at 10:42 p.m. EDT (or 7:42 p.m. PDT). The following night’s harness racing starts at 10:39 p.m. EDT (or 7:39 p.m. PDT) from Tabcorp Menangle Park, in New South Wales. The following weekend’s harness racing runs at Victoria’s Yarra Valley from 10:39 p.m. EDT (or 7:39 p.m. PDT) on Sunday, Oct. 14th, before returning to Menangle from 10:42 p.m. EDT (or 7:42 p.m. PDT) the following night. Australian harness racing in October will climax with races at South Australia’s Globe Derby Park on Sunday, Oct. 21st from 10:12 p.m. EDT (7:12 p.m. PDT); at Menangle again on Monday, Oct. 22nd from 10:47 p.m. EDT (7:47 p.m. PDT); at Victoria’s Hamilton Harness track on Oct. 28th from 10:34 p.m. EDT (7:34 p.m. PDT); and at Menangle on Oct. 29th from 10:47 p.m. EDT (7:47 p.m. PDT). 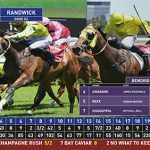 Contact Sky Racing World for more information on its harness racing product. 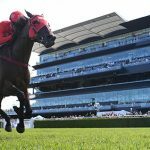 The company, a subsidiary of Tabcorp, Australia’s biggest wagering and entertainment company, provides Australian, New Zealand, South African and South Korean racing content for simulcast horse-racing wagering to over 70 US-facing advance deposit wagering (ADW) brands, including TVG, NYRABets, TwinSpires.com, Xpressbet.com, HPiBet, Watch and Wager, and BetAmerica.com. 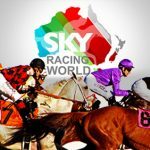 In addition, Sky Racing World provides Australian racing content for simulcast horse-wagering wagering to over 425 horse-racing tracks and off-track betting (OTB) outlets in USA, Canada, Mexico and the Caribbean.